We receive and cup pre-shipment samples of all raw coffee purchases. 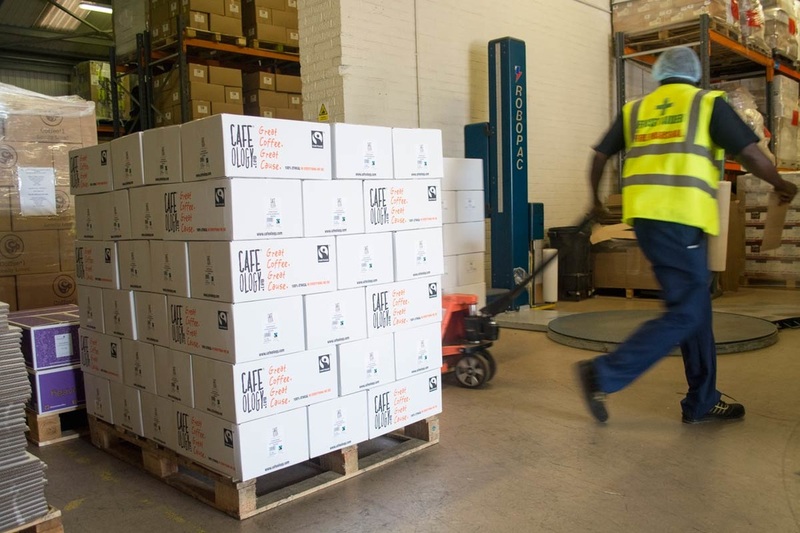 Containerised shipments are strictly monitored at all stages of the journey from origin to the roastery. Once the coffee has arrived at our warehouse it gets another identification attached for our own use, this internal stock code will indicate its origins and any certifications it may hold. 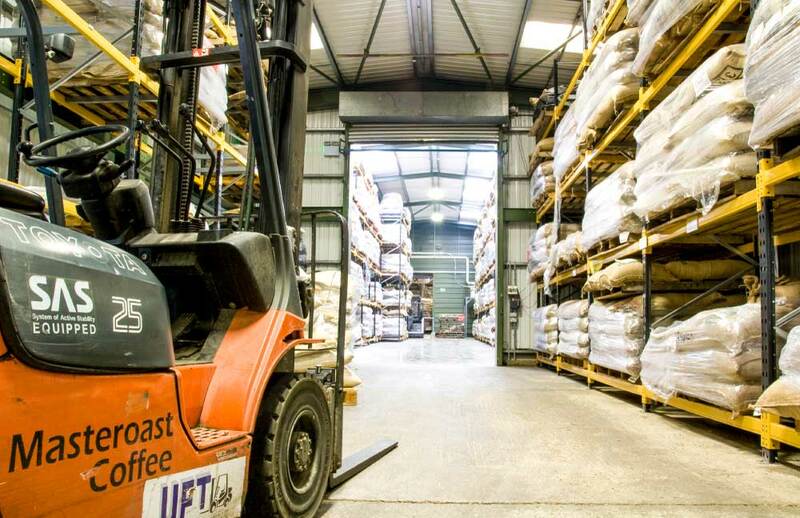 The raw coffee warehouse is maintained at a strictly controlled temperature and environment. Organic, Fairtrade, Rainforest Alliance and other speciality certified coffees, are kept segregated to ensure the certifications are not compromised. Every raw coffee delivery received by us will have a small amount taken from each bag to be sampled to confirm consistency with the pre-shipment sample and to detect any possible defects. 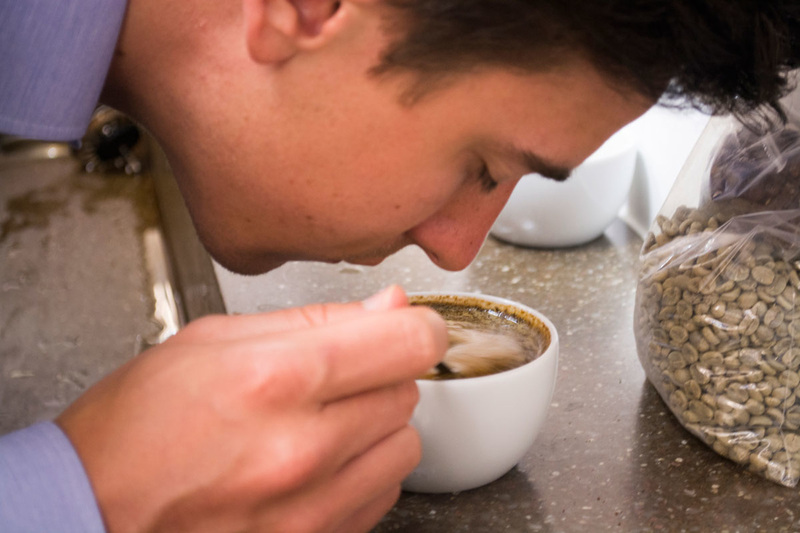 Samples are first checked for bean defects, secondly the moisture content, followed by sample roasting and cupping. If at any point the samples do not conform to our exacting quality requirements, the coffees will be rejected. All sample roasts are produced to a precise roast colour 90 (mid-range roast colour). The samples are cupped and checked by an in-house, qualified Q grader and, if approved, will only then enter production. We source raw coffees from all major producer regions, a great responsibility rests with us to ensure strictest controls of quality and consistency. 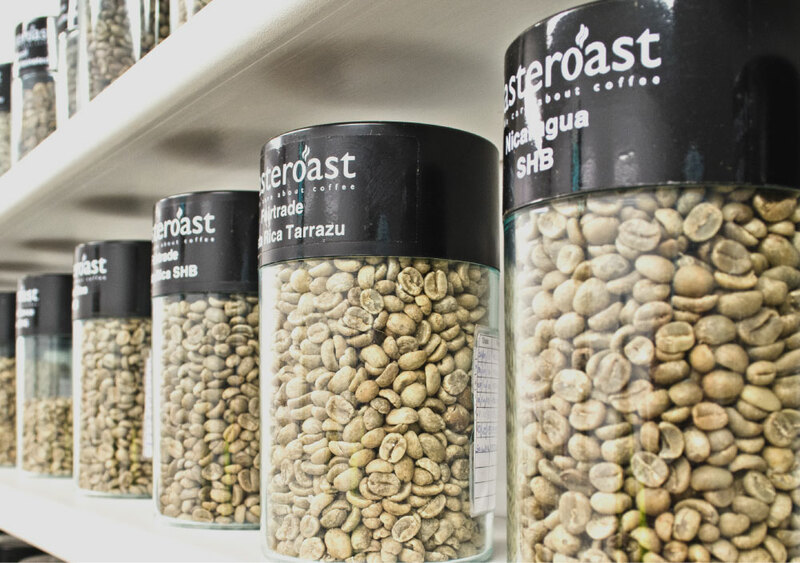 Depending on the roasting system employed, we utilise three different styles of roasting machines, technology dictates the roasting process to greater or lesser degrees. However, no matter how sophisticated the roasting technology, it will never replace the artistry of our uniquely experienced and professional roasting professionals. The coffee blending process between coffees tends to happen before roasting but can be done after to customer's specifications. The range of blends and roast combinations is infinite. Scrupulous maintenance of our roasting equipment significantly reduces the possibility of either technical/quality issues or downtime resulting from mechanical problems. 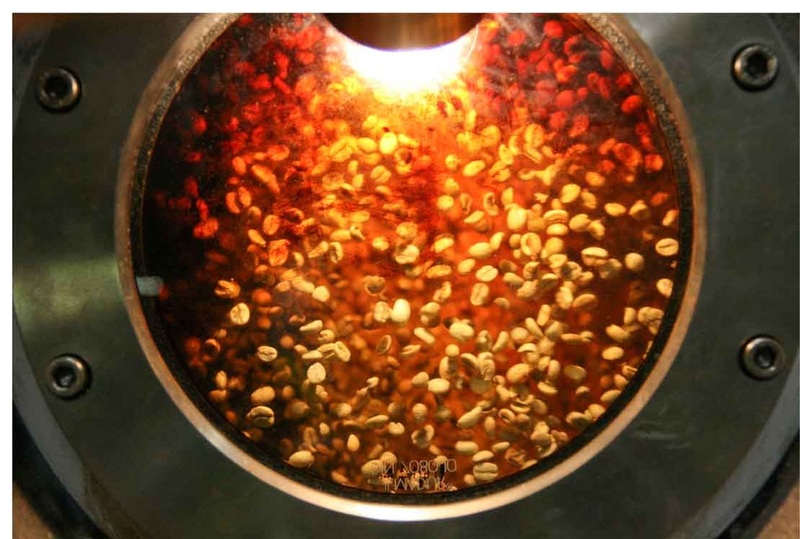 Without this maintenance a build up of coffee oils could prevent the coffee roasting to its full effect. Once we are happy with the finished product quality they are then sent on their way either with our delivery partners or through our own fleet of delivery vans. If you want to learn more about coffee in general and get in the know for the best coffee roasting and consumption practices please do get in touch by clicking here! We have our own training facility providing industry leading training courses if you are interested you can find out more in the training section of the website.